Explore the political core of Washington DC! 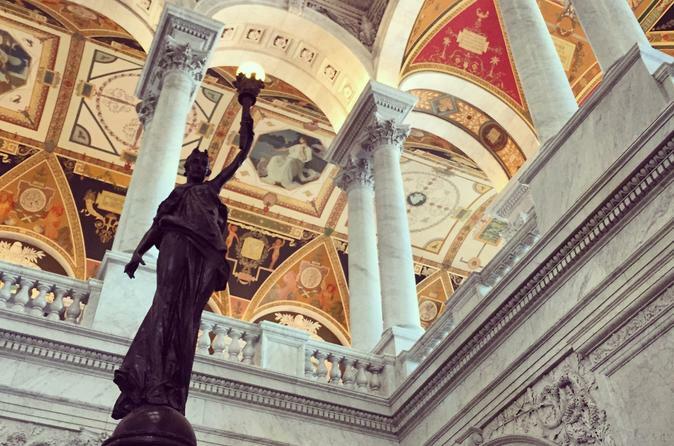 From the original L'Enfant city plan, to the tumultuous construction of the Capitol and Grounds, the rise of the magnificent Beaux Arts Library of Congress and imposing Supreme Court, and into the present day. Prolific designers like Thomas Jefferson, Robert Mills, Frederick Law Olmstead, and Daniel Burnham will feature prominently. Controversy, chaos, and red tape abound! A tour not to be missed by architecture and history enthusiasts. This tour meets in the Great Hall of Union Station. The tour takes about 2 hours and covers approximately 1 mile, ending at the U.S. Capitol Visitors Center.